Prior to our most recent storm, we had a bit of ice around Vermont. Between the snow and rain that fell, the ice weakened under the weight and insulation provided from the precipitation. Now the only option for decent ice seems to be to travel so that’s what I did. I met up with a buddy for a short road trip to New York shortly after 7 am. The commute provided me with temperatures in the mid 30’s, rain, and slush covered roads. The hike into the back country lake wasn’t much better. From the point where we crossed Lake Champlain till the time we parked the truck, most of the precipitation was snow. As we walked the half mile or so into the pond the snow switched to rain. The day before, the ice on the lake was solid and the snow on top was powder. As we crested the last hill to the pond we found a much different image. The wet spots that streaked across the lake and melted out scattered pockets made us feel uneasy but we made it this far we had to at least look. Walking out onto the lake we used a a spud bar to get a gauge of ice consistency. At first we were getting two hits for water and three to open a hole. With 6-6.5 cranks on the Nils hand auger we had a good 3.5″ of ice. Working our way out slowly, we began to realize that the ice was not in very good shape and reaching the deep water where the crappies hold up might not actually happen. As we worked north the ice consistency went in patches. We were never standing on less than 3.5″ but the ice hardness went from three hits with the spud to just one. Making the best of the trip, we started fishing our way out. 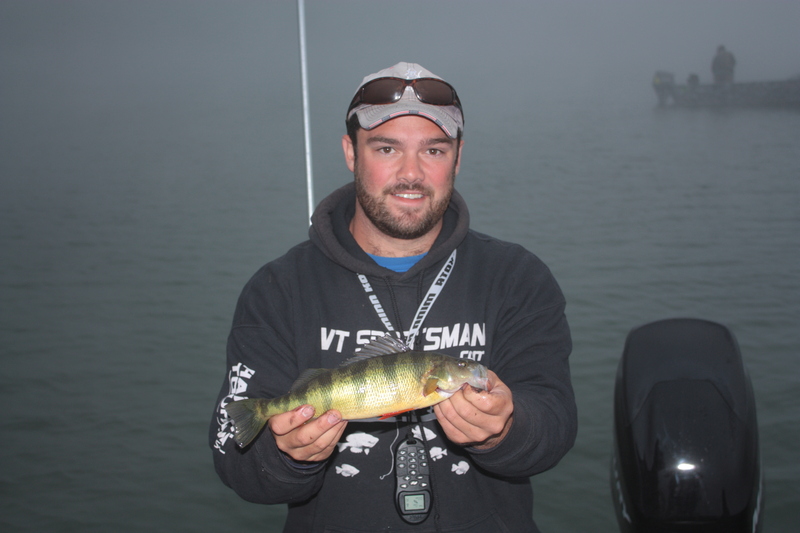 We found lots of eager perch holding tight on the bottom from 8-15 feet. After a while of fishing, we found that the ice around the holes got pretty weak as the water spread. 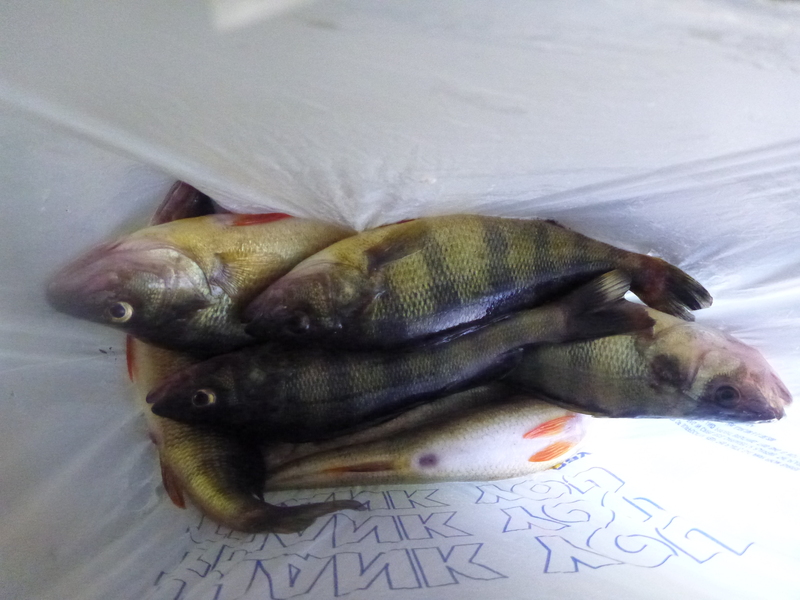 We made the easy decision that no fish, especially perch, were not worth risking our safety so we worked our way off the pond and back to the truck. 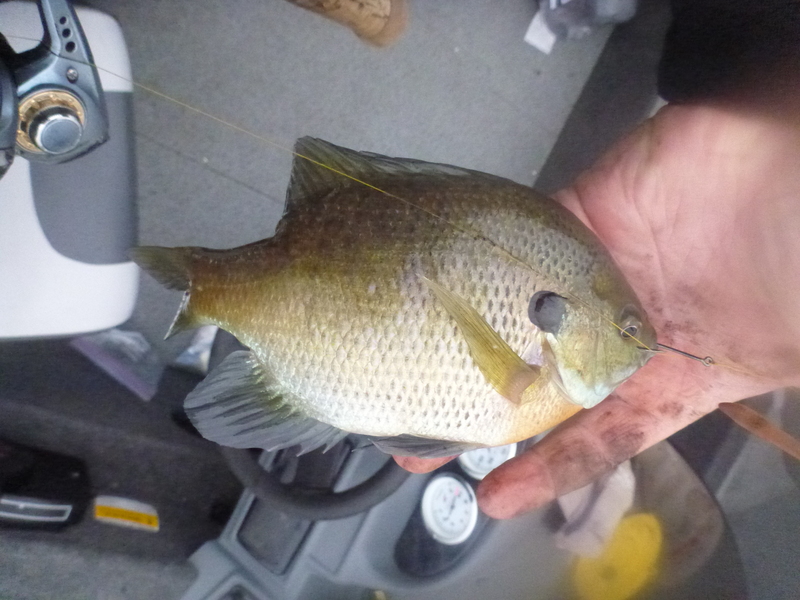 After the somewhat failed attempt at fishing deep water slabs we returned to hitch up to the boat and go search for perch no a lake that I had never even seen before. With two guys that know the lake very well, we launched and headed out to see what we could find. The water temperature on the north end of the lake was two degrees colder than that of the south coming in at just over 38. 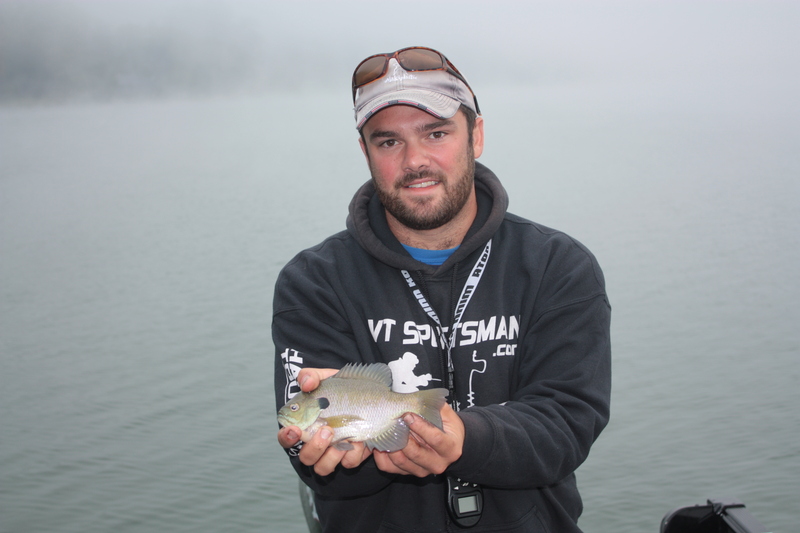 We checked what seemed like every spot on the lake that is known to hold jumbo perch that we were after. 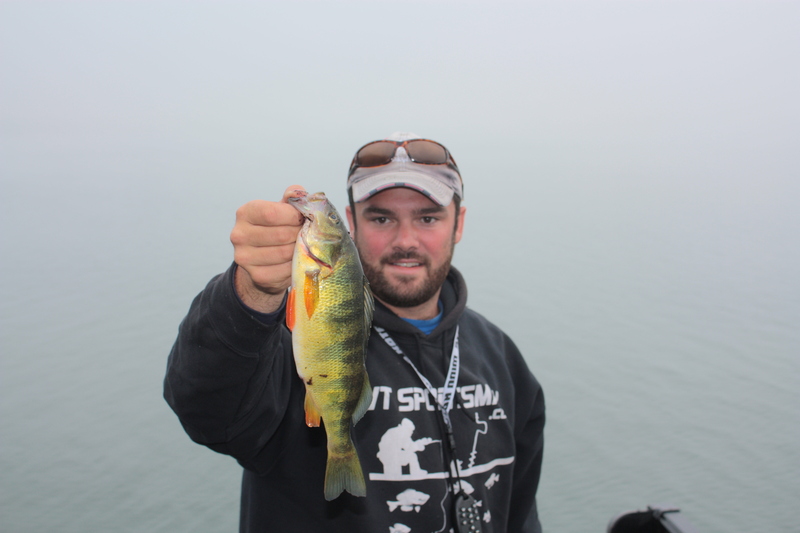 After a while of cruising around and not marking any of the large bait balls or huge schools of perch that are so well known in the lake, we called it a day. Sure this day won’t go down as one of the best but I got to fish on ice and out of a boat in the same day with with some friends. Not to mention we caught a few fish! Good enough for me! 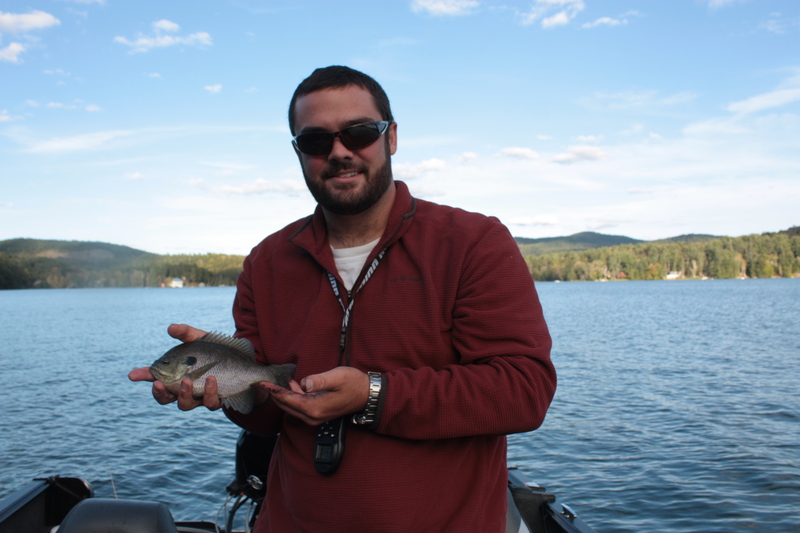 We welcome you back to the original intent of this blog; ICE FISHING! As the ice belt starts to thicken, we are all chomping to get out there and walk on the water. Some places in New England have been on the water for a few weeks now while others, like here, are just beginning to show signs that winter is here to stay. Hopefully! We checked several ponds this morning that are known for early ice. 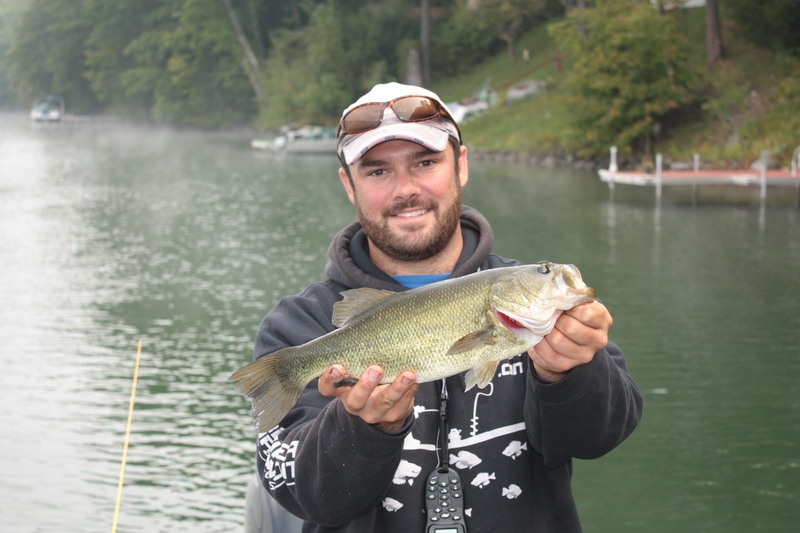 The first spot is our usual go to honey hole for early ice and is loaded with decent perch and sunnies as well as bass, suckers, shiners, and bullhead. No go. It looked like the shores had just froze up last night with a measure of only 3/4″. There was a definite line of better ice out in the middle but was unreachable even with planks. Onward to the next spot with dry legs! We found a better spread of ice upon arrival at our second location. We punched holes around a small area over shallow water finding enough ice to support our weight. Being early in the morning, the shores were still locked up tight. We began in an exposed section of the pond but quickly realized that we weren’t going to be able to get into deeper water that had enough ice for us to venture on because of the elements. With that knowledge gathered, we moved around to a shaded side of the pond hoping to to find more ice as the water dropped off to 9 feet fast. Our move provided us with slightly better ice but still a lack of fish. We were in a pocket that usually holds decent numbers of fish in the summer but apparently not so much in the winter. After 45 minutes of fishless jigging and lots of cracking and popping under our feet, we decided to pack it up. We thought that we would go look for ice on waters that we were more familiar knowing that this might be the only ice we would be able to walk on. We checked two more ponds and found no ice that would support our weight further than a few feet from shore so we called it a day right around lunch. All in all it was a good day and being back out on the ice is a great feeling. 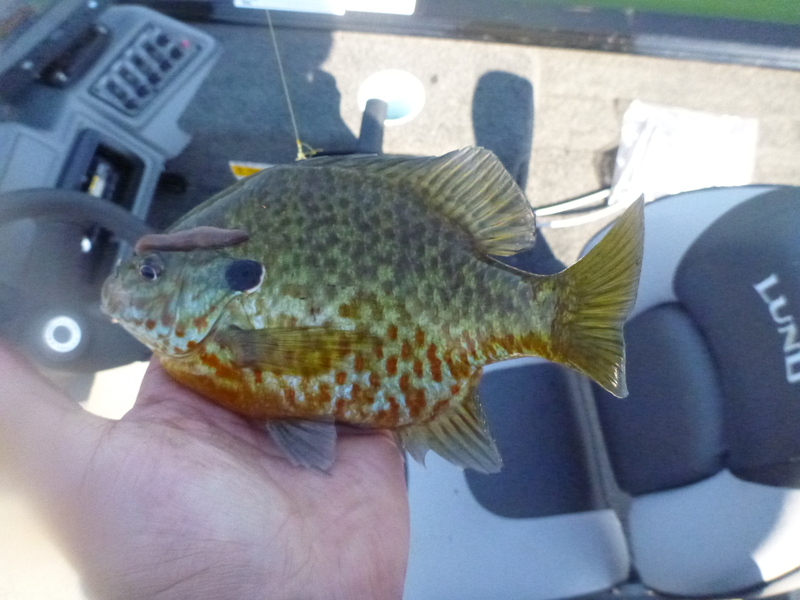 Sure catching one tiny pumpkinseed would have tied the day all together but we got out on early ice and did it right. We fished in a pair, checked ice very often, stayed close to each other but not so close as to stress the ice, were prepared with rope, picks, and floatation devices, and had a plan if a situation came up. A lot of people told us that we were crazy for going out on these conditions but we used our heads and left when we felt the ice was worsening. The ice wasn’t doing so hot when we were leaving. Cracks were showing through and the shores were slowly pulling away. I got out on the water around 5:45 am Friday with a good buddy from college. We went out after jumbo perch and when the bite slowed we decided to bass fish until we left around 10am. 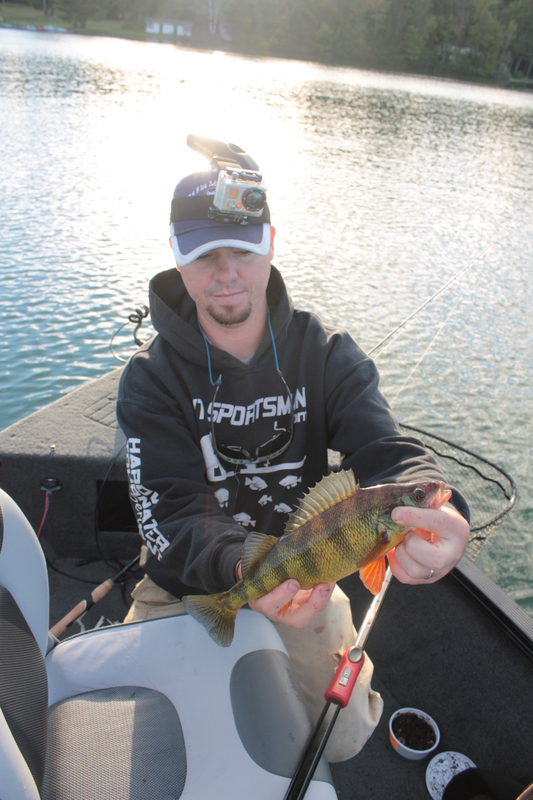 When we first started fishing, the fish were hungry but they were nipping the tails off of the crawlers. Whenever we would get on a good pod of active fish we would use the anchor function on the trolling motor to sit in place above the fish and pick at them little by little. Getting the fish to commit took to eating the whole presentation took a bit but we figured out to give them a good amount of slack in the line when not moving. Once this pattern was figured out it got better. We stayed loyal to the 28-30 foot contour while fishing for the perch as there seemed to be none on the last trip outside of that depth range as well as right off when we started fishing on this morning. 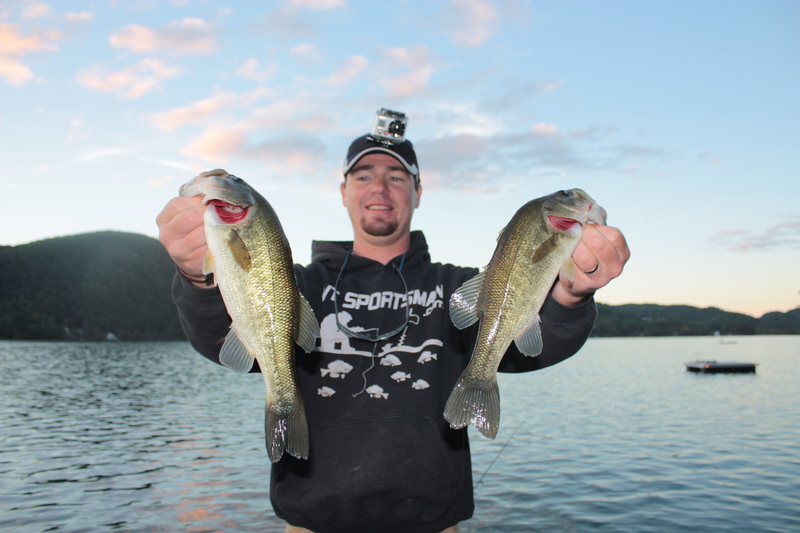 So lately, I have been doing well catching the bass in deep water on a drop shot but we decided to cast to docks with senkos. We spent a little over an hour pounding shore and found that all activity was close to anything that offered cover. Docks, trees, and boats that were adjacent to deep water and weeds were the best bet. 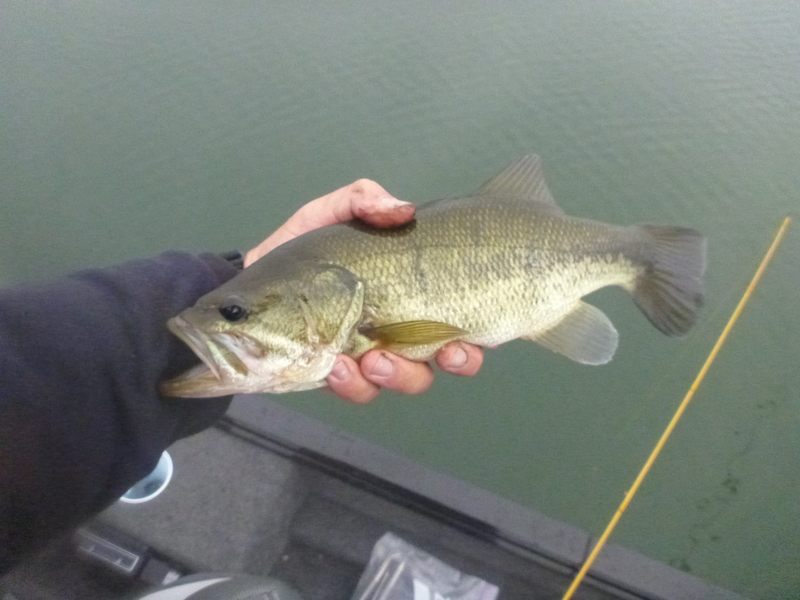 We boated 9 bass in the little time we spent fishing for them.